Still mourning the loss of his wife, fallen angel Remy Chandler has immersed himself in investigating dangerous supernatural cases. His latest: the theft of a cache of ancient weaponry stolen from a collector who deals in antiquities of a dark and dubious nature. The weapons, Remy knows, were forged eons ago and imbued with unimaginable power. And if they fall into the wrong hands, they could be used to destroy not only Heaven but also Earth. 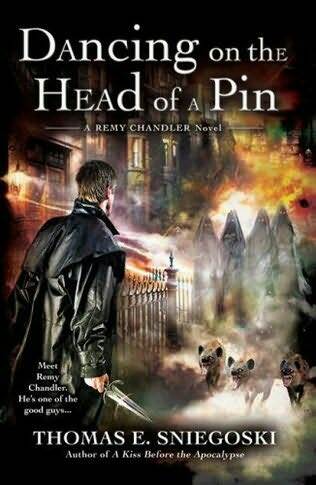 After reading the first Remy Chandler book, I was looking forward to this one. And it was just as good as the first one. Remy might be a PI from Boston, but he's not your average man. Nope, he actually used to be known as Remiel, the Seraphim. Actually, his angelic personality hasn't completely left him, he just prefers to keep it hidden behind his human guise. After recently losing the love of his life, he's still mourning her death. So he turns his attention to helping his friend, Francis (a former Guardian Angel) and finally decides to get back to his office. However, when he takes the job of helping a collector find some weapons that were stolen from his home, Remy finds himself once again deeply caught up in a very serious angelic situation. Because this man isn't the only one who wants these powerful and ancient weapons. Someone else wants to use them to release Lucifer from his prison.